I wanted to find an easy craft I could do with the kids, that wasn't messy and didn't take forever. 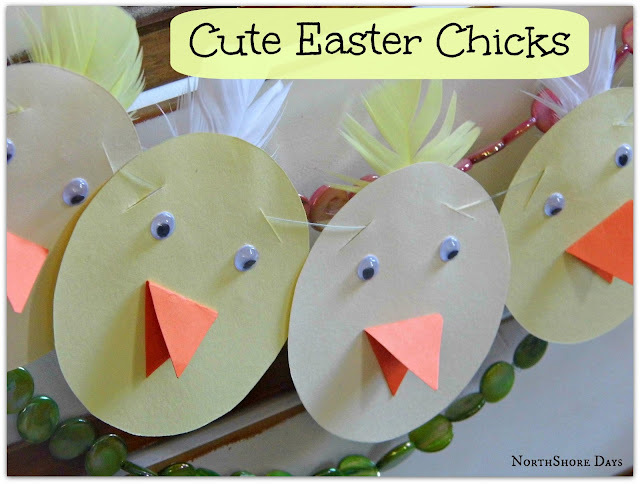 And while googling "kids Easter crafts" I found these adorable chicks at Paging Supermom. 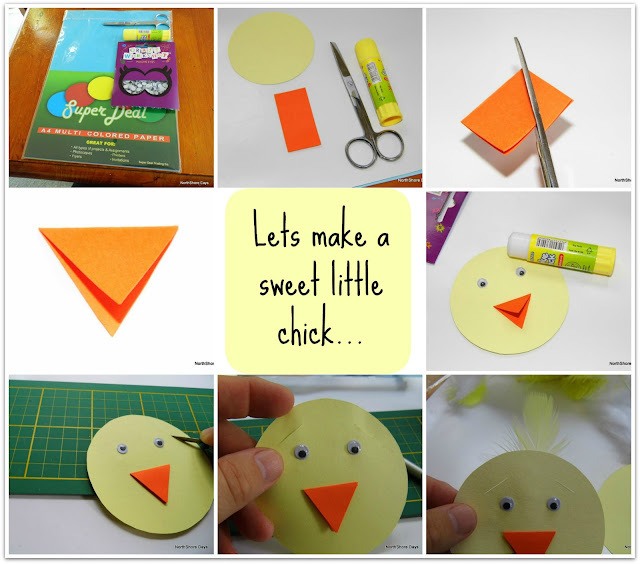 This is the easiest kids' craft EVER!!! Coloured card, googly eyes, craft glue and scissors. Cut a circle for the head. Cut a rectangle for the beak, and shape it into a triangle. Glue the beak and eyes on. String them together (I used nylon line) and hang them up around the house. From start to finish each chick took me about 5 minutes. And the kids loved making them too. Oh how cute! Madeleine might even be able to do this. Natalie, those are the cutes chicks! What a fun little banner and I love those feathers on their heads! You picture tutorials are always great! These are so freaking CUTE!! What a great Easter project. Cheers from your newest follower. Natalie-what a cute project and just in time for Easter! I just had to pin it! Nat....those are so cute! Made me smile! What a fun Easter craft! Pinning! So sweet! Such a fun project Nat!! i bet my kids would love doing this!